NEW DELHI, India, March 24, 2017 (ENS) – India’s automobile industry is geared up to begin production of vehicles compliant with Bharat Stage IV (BS-IV) emission norms across the country from April 1, according to the Society of Indian Automobile Manufacturers (SIAM). Based on European regulations, the Bharat Stage standards were first introduced in 2000. Progressively stringent norms have been rolled out since then. The Ministry of Road Transport & Highways has ordered that the Bharat Stage IV (BS-IV) emission norms will apply to all kinds of four-wheel vehicles across the country as of April 1. SIAM President Vinod Dasari said that the auto industry has not sought any deferment or delay in the implementation of the BS-IV emission norms. “Contrary to the misinformation being perpetuated by certain sections of the society, specially environmental activists, the auto industry is fully committed to commence manufacturing of BS-IV vehicles from April 1, 2017, across the country,” he said. The auto industry has fully complied with all technical regulations in the past and will remain fully compliant in the future, Dasari said. Bharat stage emission standards were established by the Government of India to regulate the output of air pollutants from internal combustion engines. The standards and the timeline for implementation are set by the Central Pollution Control Board under the Ministry of Environment and Forests and Climate Change. All new vehicles manufactured after the implementation of the norms have to be compliant with the regulations. Since October 2010, Bharat Stage (BS) III norms have been enforced across the country. In 13 major cities, Bharat Stage IV emission norms have been in place since April 2010. India’s BS-IV emission norms are equivalent to Euro IV norms. The auto companies have been manufacturing BS-IV compliant passenger vehicles and commercial vehicles since 2010. In 2016, the Indian government announced that the country would skip the BS-V norms entirely and adopt BS-VI norms by 2020. Dasari said that the Indian auto industry has been the fastest in the world to upgrade its emission norms. While Europe took 13 years to implement the Euro 4 stage, the Indian industry took only 10 years to introduce BS-IV emission norms, he said. 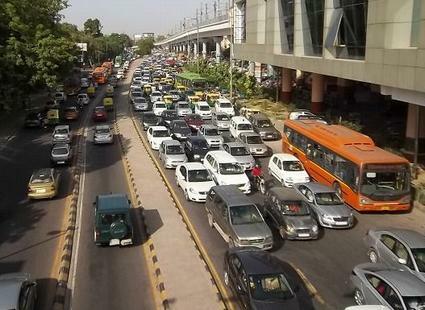 Implementation of BS-IV norms across India have been delayed due to non-availability of BS-IV fuel across the country, forcing some categories of four-wheeled vehicles to remain at the BS-III stage till April 1. “The statements suggesting that the auto industry wants to delay or postpone the emission norms are, hence, totally false and deliberately designed to malign the name of the auto industry and stigmatize an industry,” Dasari said. The Indian auto industry will be the first in the world to leapfrog from BS-IV to BS-VI emission norms by 2020.